Absolutely amazing. The French Onion soup is 2nd to none. The Crabcakes to die for especially if you like a little bite to your meal. The peach crisp dessert was excellent. Overall an awesome experience and highly recommend for anyone looking for a great meal. Amazing experience. Great service, food was phenomenal. If you want to treat your self, here's the place. We went for the Sunday brunch and it was delicious. Drinks were good and I'm obsessed with hollandaise sauce and theirs was so good. Very nice intimate place for a date or for a smaller group outing. Excellent food. Loved being with my family where everyone could enjoy their meal. Not rushed. The staff makes it! Food is desirable, and the establishment has old time charm. IMHO the absolute best restaurant in Flag. The food is phenomenal, but what keeps us going back is the service. The waitstaff and kitchen crew clearly love working here and it shows, not only in their enthusiasm and degree of service but I honestly believe it makes the food even better. We have been going since they first opened. Top notch and always one of our favorite places. Chef Tony never disappoints with his menu. Marvelous! This is probably my best restaurant in town. Everything me and my wife ordered was delicious! The meat, the wine (Don Ramon-Campo de Borja-Spain), the dessert... besides the place is beautifully decorated and cozy... and the service outstanding, Aviv, made us feel very comfortable! His recommendations were a total hit! Marvelous! This is probably my best restaurant in town. Everything me and my husband ordered was delicious! The meat, the wine (Don Ramon-Campo de Borja-Spain), the dessert... besides the place is beautifully decorated and cozy... and the service outstanding, Aviv, made us feel very comfortable! His recommendations were a total hit! Delightful! Menu is fabulous! We enjoyed the mussels, shrimp bisque, and lettuce wraps. The place was packed and we were seated upstairs. We enjoyed the private room with ambient lighting. Such a wonderful experience. Excellent food and service. Extremely attentive and knowledgeable service. The entire staff recommended the lamb chops, and they were right. If you're lucky and it's the special, order it! Flagstaff is fortunate to have Josephine's. Great atmosphere great food always love it oh yeah and great service. I love this place. I like to take friends and family here when they come to visit from out of town. Brunch and dinner are always a great option and the food is always good quality. We just had the best food once again !! Julian was our waiter and he was prompt informative and attentive. Recommend this restaurant over and over. We have test to have anything bad here. Bloody Mary was so good- a must try. And don't leave without trying the donuts !! Wonderful service! Food was fabulous! I didn't get our servers name but he was so attentive and knew just what we needed! Love josephines, and if the service is always this great. We will be back more often. Great service, atmosphere and the food was amazing. Will be returning again and again. This place is amazing, food is great, service is great, drinks are amazing, lovely atmosphere. Tres bon restaurant avec beaucoup de cachet. Vous etes accueillis dans la salle tout en bois, et une cuisine délicieuse vous y attend. Awesome sea bass special Ossetia bucolic to die for! Champagne vinagarrette This place never disappoints! First visit, won't be our last. The baked brie appetizer was amazing. Burger cooked perfectly. The French onion soup was delicious, as was the mushroom soup. Fabulous Christmas meal. Our family loved it! Great dinner celebrating my mom's 80th birthday during our Arizona vacation. I especially appreciated all the gluten free offerings, most of the menu! Everything was delicious and wonderful staff. Un des bars qui bougent ,en hiver, pendant les vacances des 35000 étudiants pour la plupart absents ..
Charming little restaurant. Has a nice breakfast menu. Pluses-Small, exceptionally delicious menu-Friendly and knowledgeable staff-Did i mentino to food is delicious! !Cons-The restaurant is situated in an creepy, old home. I am pretty sure I saw at least 3 ghosts come out of the dark and kidnap a patron.Seriously, there are no CONs here. it is a MUST TRY!! Only 1 in town opened on the Christmas night. Family style buffet was served. Staffs are all very friendly and nice. Food is just okay as there is not many choices. Pricing is great for what you get, fine American dining. I have eaten here multiple times, the service is consistently great. Phenom food. Cocktails menu might need a refresh. The food and atmosphere was amazing. We will definitely be back when we go to Flagstaff, AZ. Ceasar salad had way too much vinegar. Soup was not hot. Pulled chicken was good. Wait staff was great. Heading to Flagstaff? This is where you should be stopping to eat. The staff was absolutely fantastic! Super friendly and comfortable atmosphere. Starters, salads and entrees were all flavorful. Get atmosphere, awesome food,great service. Excellent atmosphere and great food. Wonderful place for an upscale dinner in a relaxed atmosphere. Highly recommend Josephine’s. Service was great as well. Josephine's put on an amazing Thanksgiving buffet! From turkey to salmon, salads and pies galore. Amazing! Thank you! Excellent food, cozy environment, five stars! 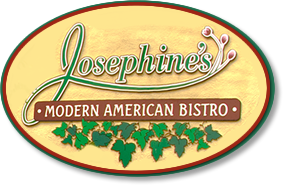 Josephine's is always a great place for a date night. Delicious specials and wine, but on the expensive side for Flagstaff. Definitely worth it for that very special someone. I always love the food, so relaxing and a cute place. The people are great.